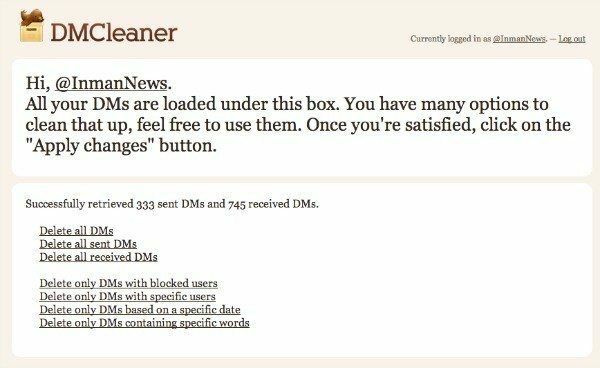 If you manage one or more than one Twitter account, you know how easily your private inbox of direct messages, spam and conversations can quickly become backlogged. 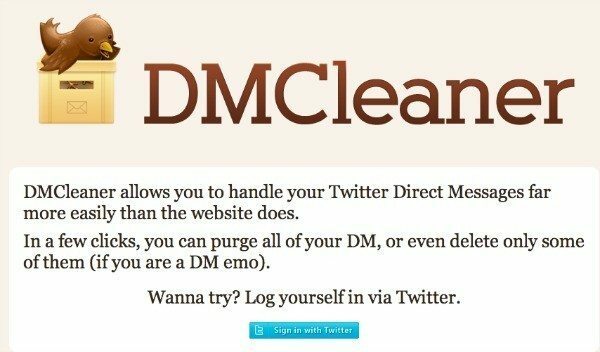 There hasn’t been a way to bulk delete messages through the Twitter website, but DMCleaner can. Not only that, you can filter what you would like to delete. How’s that for quick and easy?